Calls to other Skype for Business users are free, but if you want your users to be able to call phones outside of your business, get a Domestic Calling Plan or an International Calling Plan in Office 365. It's easy to set this up for your business. Go to Country and region availability for Audio Conferencing and Calling Plans and select your country or region to get availability information about Calling Plans, as well as information about Audio Conferencing, Phone System, toll and toll-free numbers, and Communications Credits. If the Phone System in Office 365 feature isn't included in your plan, you may need to purchase Phone System add-on licenses. After you have Phone System licenses, purchase Calling Plans for Office 365. See Microsoft Teams add-on licensing, and buy the licenses and plan. Phone System licenses and Calling Plans in Office 365 go together, so to see the option to purchase Calling Plans, you must first have the Phone System licenses. First assign the licenses, and then assign a Calling Plan to the people in your organization. See Assign Microsoft Teams licenses. 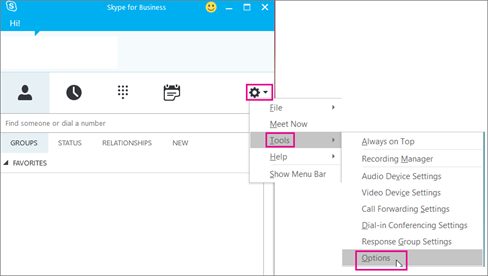 Use the Skype for Business admin center. For some countries/regions, you can get numbers for your users using the Skype for Business admin center, see Getting phone numbers for your users. Use a request form for new numbers. Sometimes (depending on your country/region) you won't be able to get your new phone numbers using the Skype for Business admin center, or you will need specific phone numbers or area codes. If so, you will need to download a form and send it back to us. See Manage phone numbers for your organization for more information. An emergency address must be associated with a phone number; when this association happens can vary among country and regions. For example, in the United States, you need to associate an emergency address when you assign the phone number to the user. In the United Kingdom, you need to associate an emergency address to the phone number when you are getting the phone numbers from Office 365 or transferring phone numbers from your current service provider. In the Skype for Business admin center, go to Voice > Emergency locations > Add new address. See [Add or remove and emergency address for your organization](/skypefor business/what-are-calling-plans-in-office-365/add-or-remove-an-emergency-address-for-your-organization) for details. In the Skype for Business admin center, go to Voice > Emergency locations > Add new address. See [Add, change, or remove an emergency location for your organization](/skypefor business/what-are-calling-plans-in-office-365/add-or-remove-an-emergency-address-for-your-organization) for details. When you are setting up Calling Plans in Office 365, you must assign a phone number and emergency address to each of your users. The emergency address must be created before you can associate it with a phone number. In the Skype for Business admin center, go to Voice > Voice users > Emergency location > Assign number > Change location. See Assign or change an emergency address for a user for more details. You can also assign an emergency address when you assign a phone number. In the Skype for Business admin center, go to Voice > Voice users > Assign number > Change location. See Assign, change, or remove a phone number for a user for more details. We recommend sending mail or using your business's preferred communication method to tell the people about their new phone numbers. Sign in to Skype for Business on your desktop. Choose Settings > Tools > Options. 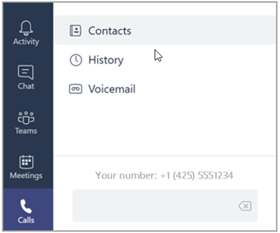 In Microsoft Teams, users can see their phone number by clicking Calls in the left navigation. The phone number is shown above the dial pad. An emergency address is often referred to as a civic address, street address, or a physical address. It is the street or civic address of a place of business for your organization. Emergency locations aren't validated, only emergency addresses are. If you want to know more about emergency addresses, see What are emergency locations, addresses and call routing? Do you want to automate assigning phone numbers? If you know Windows PowerShell, you can use the following cmdlets to automate assigning phone numbers to your users. Get-CsOnlineTelephoneNumber: Retrieves the telephone numbers from the Business Voice Directory. Set-CsOnlineVoiceUser: Sets the telephone numbers. To learn more, see Quick reference: Using Windows PowerShell to do common Skype for Business Online management tasks.